HERNDON, Virgina, Sept. 5, 2018 /PRNewswire/ -- Afinis is a membership-based standards organization that brings together diverse collaborators – through innovative and agile processes – to develop implementable, interoperable and portable standards across operating environments and platforms. Afinis furthers the work of NACHA's Payments Innovation Alliance Application Programming Interface (API) Standardization Industry Group (ASIG) to now advance API standardization efforts across the financial services ecosystem through formal governance, and includes the work of Interactive Financial eXchange Forum (IFX). Afinis provides a community for thought leadership on the shared goals of expanding efficiency, surety, safety and interoperability within the financial services industry. 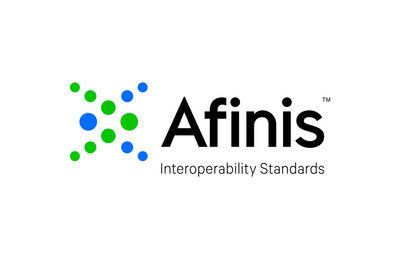 Afinis is a membership-based standards organization that brings together diverse collaborators - through innovative and agile processes - to develop implementable, interoperable and portable standards across operating environments and platforms. Utilizing Afinis’ platform for standardized API product discovery, application testing, and developer collaboration, API products are developed for use by financial institutions, fintechs and solution providers, businesses and governments. Utilizing Afinis' platform for standardized API product discovery, application testing, and developer collaboration, API products are developed for use by financial institutions, fintechs and solution providers, businesses and governments. Afinis employs a transparent governance process to provide confidence for standards use and development of products and solutions. "The financial services industry is using APIs to broaden and enhance services, increase automation, and strengthen security," said NACHA President and CEO Janet O. Estep. "API standardization is critical for the financial services industry to reap its full potential beyond the confines of proprietary systems. "Afinis is a membership-based organization that collaborates openly with groups from around the world to share learning, reduce duplicative efforts, and create and adopt standards that lessen friction and improve the ability to bring innovations more quickly to market," Estep continued. In spring 2017, ASIG was established to support advancement and use of standardized APIs within the U.S. financial services industry. In 15 months, ASIG developed 16 initial API use cases, launched an online community, published "API Standardization – Shaping the Financial Services Industry," and released the API standard for Account Validation and API standard for Get Bank Contact Information. In April 2018, NACHA and IFX joined forces to combine IFX's standards and API message development technical proficiency with NACHA's governance expertise and rich history of bringing diverse stakeholders together. In July 2018, IFX published the paper, "RESTful Implementation of IFX." Afinis builds off of ASIG and IFX's collective bodies of work. Established within a governance structure, Afinis supports long-term standards development and adoption. Afinis members learn from one another for ideation and innovation, and are comprised of thought leaders and leading technologists from financial institutions, fintechs and solution providers, businesses, governments, and nonprofit organizations. Afinis members have a direct influence on the governance life cycle of standardized API products and members' work is done collaboratively using common open source solutions such as SwaggerHub, Apigee Edge, Confluence and Jira. Afinis leverages agile sprint planning development methodologies, and Afinis members are among the first to review Afinis standardized code for testing, feedback and early adoption. Afinis follows these agile development methodologies to ensure rapid response to industry needs and to save time for members. Afinis is a membership-based standards governance organization under the NACHA umbrella that brings together diverse collaborators – through innovative and agile processes – to develop implementable, interoperable, and portable financial services standards across operating environments and platforms. Afinis brings together thought leaders and leading technologists from financial institutions, fintechs and solution providers, businesses, governments, and nonprofit organizations to rapidly develop API products through use of Afinis' platform for standardized API product discovery, application testing, and developer collaboration. For more information and to learn how to join, visit Afinis.